“Is that St. Patrick’s Cathedral?” asked the passerby. 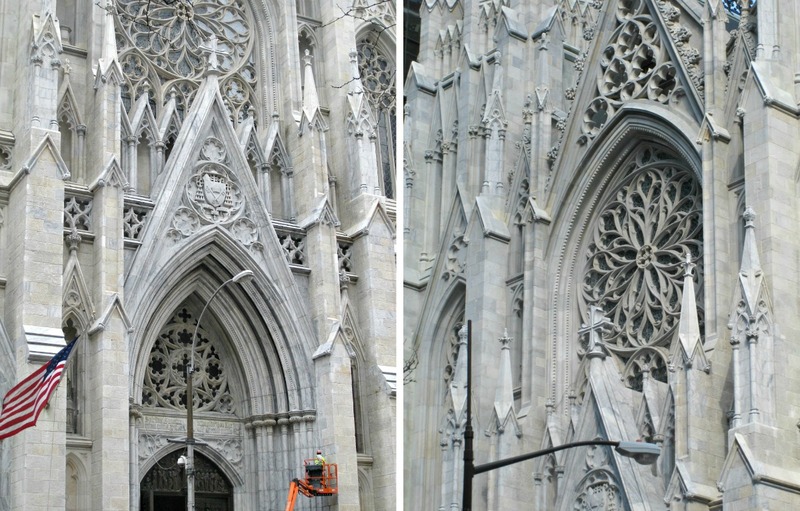 To the pleasure of all, St. Pat’s has emerged from its cocoon and it is brilliant to behold. Scaffolding is still up inside the cathedral, sharing the space with worshippers; and work may go on through the rest of this year. It is an enormous building, after all, occuping a full city block between 50th and 51st Street, and Fifth and Madison Avenues. On the outside the building was always impressive; now it is magnificent. It makes one think of the panoply and power of the Church, stately processions, gorgeous robes, bejeweled crosses and cardinals’ rings, incantations of the priests and congregation extolling the glory of God. It also makes one think of the cost—$177 million—and wonder how far that money would go to aid the poor and feed the hungry of the earth, traditional missions of Christianity. Not very far, maybe, since world hunger is not assuaged by one meal. But to be a glittering promise of sublime afterlife for millions—that is conceivably worth it. Those two demands on the resources of the church—aiding the poor and glorifying God—have been hard to reconcile for two millennia and the job is no easier today. St. Patrick’s has addressed it by raising funds earmarked specifically for the restoration, funds from individual donations, large and small, as well as grants from the archdiocese and trustees of the cathedral. Daily operations and good works are left to be taken care of by ongoing funds. Alas, these funds are shrinking or threatened for all religious institutions, which are seeing their congregations dwindle at the same time as their upkeep increases. How to straddle the widening gap is a problem for all. Leveraging assets is always a good strategy, and the main material asset a church possesses is its building. That brings us to the issue of air rights, which, for those who are able to sell them, may look like a splendid chance to rectify things, at least temporarily. A one-time, single bundle of money, no matter how hefty, may not qualify as “ongoing funds,” but the income from the investment of it certainly would. For decades owners of property not built to the maximum allowed by zoning regulations have been entitled to sell the difference between the amount of the zoning envelope they do occupy and the zoning envelope they are allowed to occupy. It is expressed in square feet. To sell your air rights means you can never, ever, use them to enlarge your building upward. 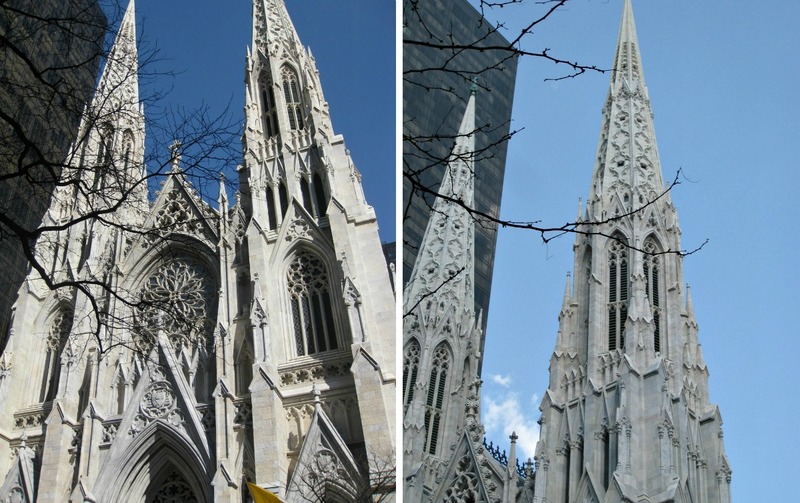 For an institution like St. Patrick’s, the idea of building a rooftop addition higher is laughable—where would you put it, on top of a spire? So the idea of selling those rights is attractive. The law says that you can sell your air rights to a site next door. If you are a designated landmark you can sell them next door or across the street. Now, if you look at the area around St. Patrick’s and look at all those tall, tall buildings, you quickly realize they are all built to their zoning capacity now. So where can a poor church sell its rights? Negotiations have been undertaken by St. Patrick’s, St. Bartholomew’s Church and Central Synagogue to extend the range of eligible receiving sites. The talks have taken place as part of the East Midtown Rezoning proposals to raise building-height limits. Inaugurated under Mayor Bloomberg’s administration, the talks are now in abeyance. It is assumed that City Planning will return to the issue, along with community stakeholders, the borough president and local council members, but at this point no one knows when that will happen. St. Pat’s alone has 1.7 million square feet of air rights to sell, and conceivably it could distribute that largesse in various parts of Manhattan—they hope. If air rights, or development rights, are worth $200 a foot (and the price may vary from one location and time to another), then the Cathedral could reap a cool $340 million. That purse, wisely invested, could take care of a lot of ongoing funds. 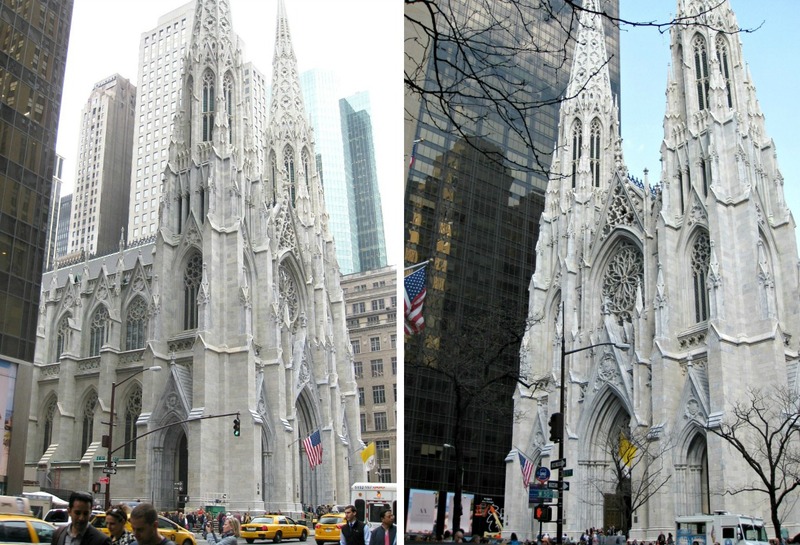 There will always be those who ask whether St. Pat’s would really need to sell its air rights if it hadn’t spent so much restoring its building. It may be one of life’s many imponderables, but a good guess is that the answer would be yes. Questions of money aside, the restoration is beautiful, and the cathedral now looks as it must have to its architect, James Renwick, Jr. when it was dedicated in 1879. That was 136 years ago; and now that coal is no longer burned to heat homes and industry is virtually absent from Manhattan, this job ought to last a good deal longer.